Gujarat is a state that caters to the needs of all types of tourists. Whether it is an adventure tour or a family vacation, Gujarat has everything for everyone. 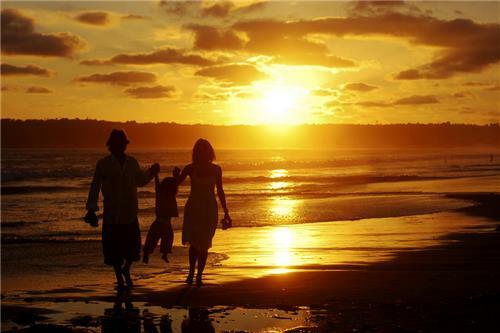 The well built roads, good infrastructure, and friendly people of Gujarat make it an ideal state for family vacations. Whether it is a pilgrimage tour with a group of elderly devotees, a wildlife vacation in the forest or a weekend tour at a beach, Gujarat has endless options for family getaways of all budgets and preferences. When we think or talk of Porbandar, immediately our brain gets the image of Mahatma Gandhi, our father of the nation. Association with Gandhiji has made Porbandar one of the most preferred family getaways in Gujarat. We all need to know about the glorious past of our country and also must know about great people of our country. Visit to Porbandar gives each member of the family the opportunity to know a lot about Mahatma Gandhi. The birth place of Mahatma Gandhi is famous as ‘Kirti Mandir'. Porbander used to be an important trading centre where traders from the Gulf and Africa used to come and do trade with Indian Traders. In very early times, this city was called Sudamapuri, named after Sudama, the dear friend of Lord Krishna. Kirti Mandir, the memorial of Gandhiji was constructed in 1950. Admission is free of cost and it remains open for the public from 7.30 AM to 7 PM. This memorial is 79 feet high and has 79 holders for candles. Beside this memorial, a two century old house, the actual birthplace of Gandhi exists. After you are tired of roaming around and walking through the history, you can enjoy having authentic Gujarat Foods and other types of cuisines at Swagat and Swati Restaurant. Other places to visit in Portandar are Huzoor Palace, Bharat Mandir Hall, Sartanji Choro, and Darbargadh. If getting your fatigue healed is what you are looking for and at the same time you want to enjoy the beautiful landscapes with your family, Saputara is the ideal getaway to enjoy some days of seclusion along with your family members. Saputara is visited by tourists throughout the year. It is located on the border of Gujarat and Maharashtra. This hill stations have some wonderful viewpoints for watching captivating sunrise and sunset. Other activities that families can enjoy doing here are boating, ropeway riding and go for local excursion. While reaching Saputara from Mumbai, Saptashringi Temple is an interesting place to visit. 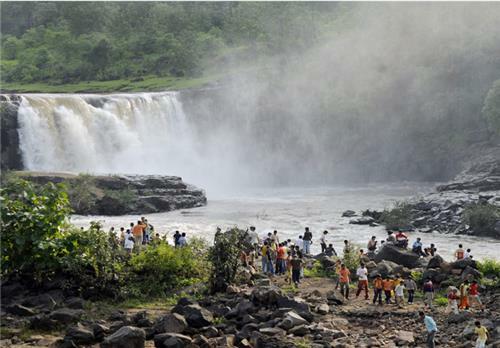 Gira Falls can be visited while traveling to Saputara from Surat. Hatgad Fort, Nageshwar Mahadev Temple, Honey Bee, Rose Garden Centre and Echo Point Saputara are some other interesting places for the visitors. Artist Village in Saputar is the place where artisans showcase their work. Bamboo Craft Items, Hand-made Jewelry Items, Pottery, Warli Paintings of numerous types are exhibited here in this village. If you and your family members want to walk through the historical journey of Gujarat and ancient India then Dholavira is a must-visit place. 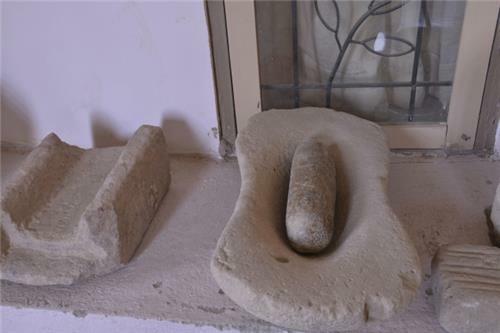 It was associated with one of the ancient civilization, Indus Valley Civilization. Dholavira is located in Kutch District. Dholavira has one of the two largest excavation sites related to Indus Valley Civilization. The Dholavira Ruins have 3 parts which include citadel, the middle city and the lower city. During Excavation, seven layers of city architecture have been found here which are worth to see. There is a museum at the entrance of the excavation site which have artifacts like cooking vessels,, iron and copper tools, gold jewelry. Dholavira can be reached by road from Ahmadabad. It takes 6 hours to drive to Dholavira from Ahmadabad. For staying not many facilities are available but there is a guest house run by Gujarat Tourism Department. Home stays are also available for interested people. Considered as one of the most important towns of Kutch Region, Bhuj is an offbeat place for family tour. It is famous for its varieties of handicraft and handloom work. Bhuj used to be the capital of Kutch Rulers, the Jadeja Rajputs and since then it hold an important position in the map of India. 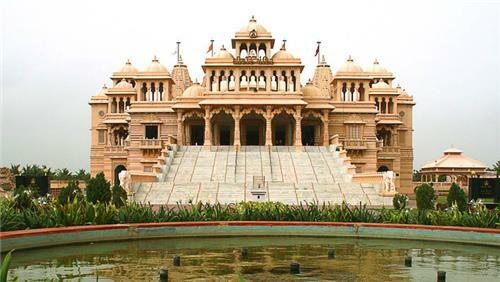 Some interesting places in Bhuj are Darbargadh, a walled complex; Sharad Baug Palace, the magnificent palace which was the residence of Maharao of Kutch until his death; Kutch Museum, a place showcasing artifacts of past such as textile, silverware, weapons, costumes, sculpture etc. Aina Mahal is another place to visit in Kutch. Located just beside Prag Mahal, a palace with excellent interiors, Aina Mahal got its upper storey devastated by the earthquake. 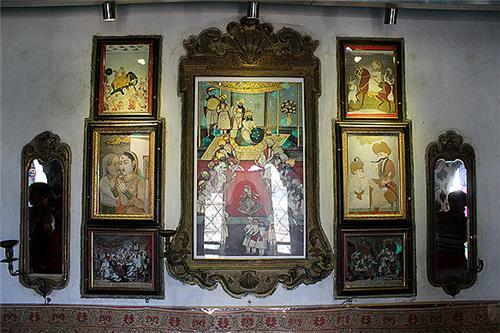 Folk Art Museum in Bhuj displays traditions of Kutch. This museum has the replica of Rabari Bhungas, huts made with mirror and mud; musical instruments of Kutch; wood and stone carved items etc. Bhuj is an ideal place for the food lovers. Apart from authentic Gujarati Thalis, dishes from north and south India, China and other parts of the world are served at many restaurants and hotels of Bhuj. Located on the banks of Tapti River, Surat is one of the most important cities of India in terms of economy and business. The city is famous for its diamond and textile industry all over the world. With many malls and multiplexes already in Surat, the city has got modernized very fast. Surat is a paradise for food lovers. The city is famous for its mouth-licking street foods and snacks. Chowpatty, the garden and walkway along the river is the place where locals gather in great numbers during the weekend. 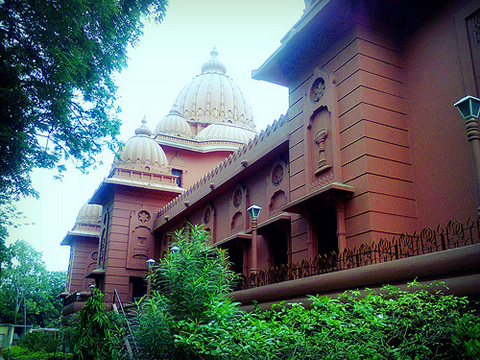 Swaminarayan Temple by the riverside and Uni Mata Temple are famous religious places of Surat. Unai Mata Temple has hot springs where people take dip to get rid of skin diseases and other ailments. Unai Mata Temple is located in the middle of route connecting Surat and Saputara. Though Rajkot is a city full of hustle-bustle yet tourists keep coming here for the various attractive places the city offers. Rajkot has no dearth of interesting places for the visitors. The main attraction of this city is the Mahatma Gandhi House or Karba Gandhi No Delo. Gandhiji started living in this house since he was 6 years old. The house has got collection of items that were associated or used by Gandhiji. Another interesting place in Rajkot is the Watson Museum. This museum houses precious collection of artifacts related to history and culture of Rajkot and many exhibits related to the British Era in India are also kept here. Visitors get to see items like intricate ivory work, statue of Queen Victoria and inscriptions of 3rd Century AD at this museum and library. Other must-visit places of Rajkot are Aji Dam; Lal Pari Lake, a picnic spot with panoramic landscapes; Jagat Mandir, a beautifully carved red stone temple dedicated to Sri Ramkrishna Paramhansa. Scholars and students find Lang Library of Rajkot as a must-visit place because of its rich collection of books and documents related to history and culture of Saurashtra Region and Rajkot City. The above mentioned places in Gujarat are some of the best holiday destinations for families with different preferences. can you suggest me the famous places to visit in bhuj city and also give me the details of hotels available in the city? Hi, Click on the links below to find the best places to visit and details of hotels.